Members of Jaysh al Adl which translates to Army of Justice. The group claimed responsibility for the attack that targeted a bus carrying members of Iran’s Islamic Revolutionary Guard Corps killing 27 Guards and wounding 13 others in the southeastern Sistan and Baluchistan Province on Wednesday, according to Iranian media reports. A truck bomb attack on a bus carrying members of Iran’s Islamic Revolutionary Guard Corps, killed 27 Guards and wounded 13 others in the southeastern Sistan and Baluchistan Province on Wednesday, according to Iranian media reports. The Guards, part of the elite branch of Iran’s armed forces, were traveling a 100-mile mountainous route from the city of Khash to the provincial capital of Zahedan, when they came under attack, reports Iran’s semi-official Fars news agency, citing a statement from the Revolutionary Guards. The group’s Quds Force unit said the United States, its allies and Zionism shared responsibility for the attack, without elaborating on the claim. 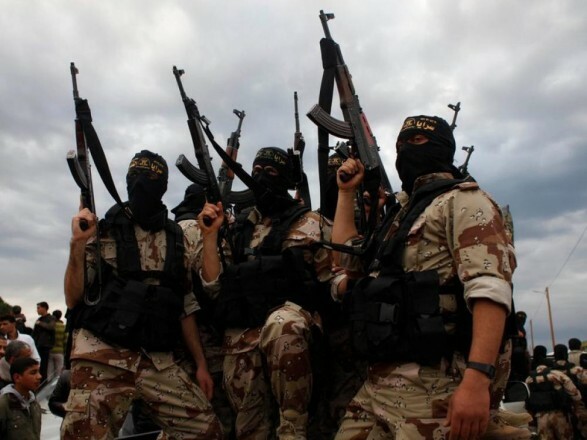 The group’s fighters, whose name is also spelled Jaysh al Adl, which translates to Army of Justice, have been known to stage attacks in the greater Baluchistan area targeting Shia Muslims. The region, which borders Afghanistan and Pakistan, is occasionally marred by Baluch separatist attacks, reports NPR’s Peter Kenyon. In December, another deadly suicide bombing targeted police in the city of Chabahar. Wednesday’s attack came as a two-day international summit kicked off in Poland. The attack came on the heels of Iran’s celebrating the 40th anniversary of its revolution, which saw the overthrow of the U.S.-backed shah as well as the founding of the Revolutionary Guard Corps, which is tasked with preserving the Islamic Republic.